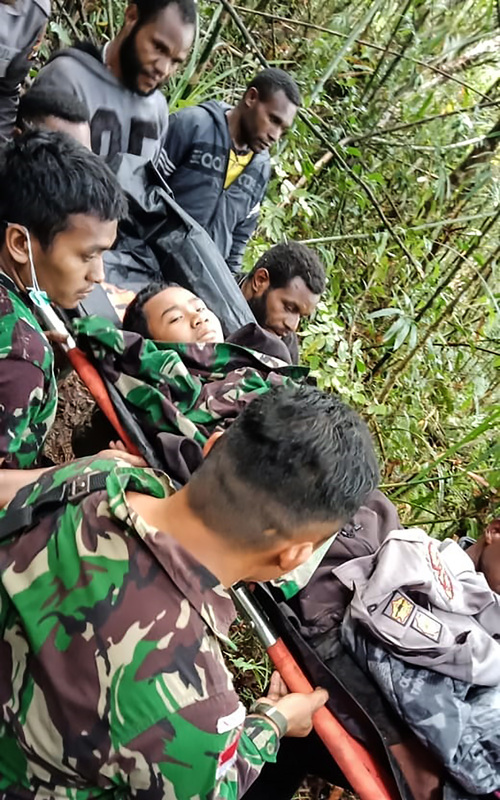 A 12-year-old boy is the only survivor from the crash of a light commercial plane in a mountainous region of Indonesia's easternmost province of Papua that left eight others dead. The Swiss-made Pilatus PC-6 Porter single-engine plane operated by Dimonin Air was reported missing on Saturday during a 45-minute flight from Tanah Merah in Boven Digul district to Oksibil, the district capital of Pegunungan Bintang, bordering Papua New Guinea. The plane crashed near Oksibil airport. Colonel Jonathan Binsar Sianipar said the boy, identified only as Jumaidi, was the only person found alive. He is conscious in hospital. The plane with two pilots and seven passengers lost contact after communicating with the control tower in Oksibil just before it was due to land on Saturday, said local police chief Michael Mumbunan. The cause of the crash was not clear. Planes are the only practical way of reaching many part of Papua. Indonesia has been plagued by transport accidents on land, sea and air because of overcrowding on ferries, aging infrastructure and poorly enforced safety standards.